American Printing House for the Blind is the world’s largest nonprofit organization creating educational, workplace, and independent living products and services for people who are visually impaired. One of their products which has been around for years is Talking Typer. 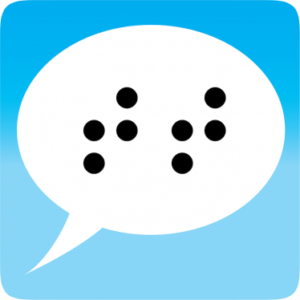 In April, they brought the Talking Typer app to the App Store! The new Talking Typer app is an accessible typing and computer keyboard tutorial designed to help increase speed and accuracy. It comes with 35 built-in lessons at levels 1-10. It is built for students who are blind or visually impaired but can benefit all students. In addition to the 35 default lessons, parents and teachers can create new lessons, edit lessons, or assign lessons to individual students or groups. The app saves the results of each drill allowing students, teachers, and parents to monitor improvement. The app is available for purchase now on the App Store.